Liam Imlach-Walker is one of the founding partners of Sturino Walker Legal Services Professional Corporation. He graduated from York University in 2012, and furthered his law career by attending Centennial College to become a Paralegal. 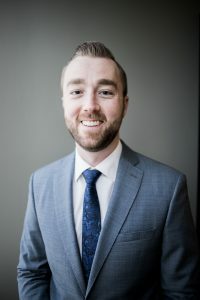 Upon graduating and passing The Law Society of Upper Canada’s Licensing Exam for Paralegals he began representing and advising a great deal of clients in the legal field. 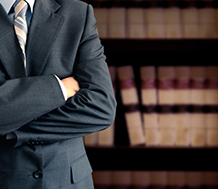 At Sturino Walker Legal Services Professional Corporation, Mr. Walker limits his practice to 5 key areas of law to ensure that his clients consistently receive the quality of service they deserve. He has successfully helped clients navigate the complex issues regarding Small Claims Court, modification of Collection Cases, Traffic Matters, Landlord Tenant Board issues and continuingly worked with clients diligently to ensure that their Record Suspensions or Pardons are granted. He continuously produces positive results for his clients. Liam Imlach-Walker welcomes challenges and is willing to go to whatever legal lengths are necessary to provide his clients with their desired outcome. 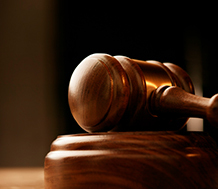 He has successfully represented clients in Toronto, Durham, Newmarket, Mississauga, Richmond Hill and Barrie. 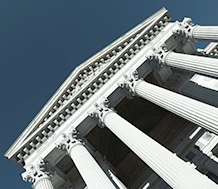 Mr. Walker does not only dedicate his time to his own clients, but to advancing legal knowledge more generally, too. He currently has taken to social media sphere in an effort to make the public more aware of their legal rights and what options they may or may not have. Maria Sturino, a founding partner of Sturino Walker Legal Services Professional Corporation, is a licensed Paralegal with the Law Society of Upper Canada. Ms. Sturino graduated from Humber College with a degree in Paralegal Education. Maria is fluent in the both English and Italian and has extensive experience in various areas of law. 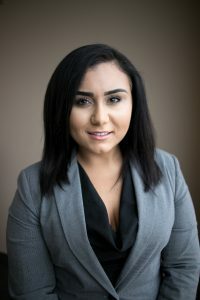 At the start of her Paralegal career, she began working for a top tier law firm in downtown Toronto specializing in Civil Litigation, Real Estate, Corporate Law, and Wills and Estates. Her duties included the drafting and preparing of legal documents, assisting in correspondence related to real estate transactions and civil litigation, and completing client accounts and reports. Ms. Sturino is always involved with the concerns of her clients from the time they enter the firm, through to the completion of the matter. Maria later began working for a Toronto Paralegal firm specializing in Traffic Tickets, Small Claims, and Criminal Pardons, where she held the position of Office manager and assistant to Senior Paralegal. Ms. Sturino is passionate about her work and strives to ensure the needs of all her clients are satisfied entirely. Her exceptional legal knowledge and people skills, allows each client to feel comfortable with her and confident in the services she is providing to them. Maria is able to maintain exceptional client relationships while conducting herself in a professional manner.